SONTAL Toléne® CLA 300 Softgel capsules for sensible weight management. 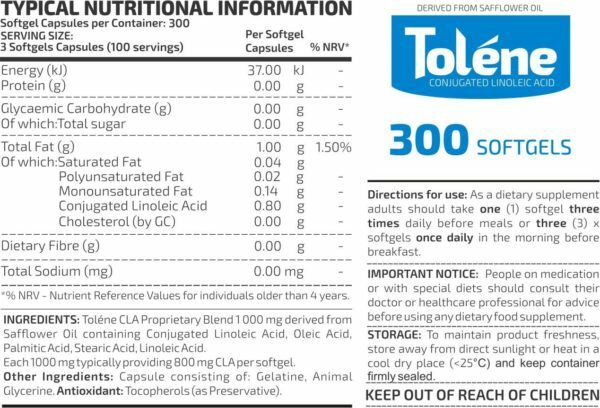 SONTAL Toléne® CLA is a speciality product, which has been clinically proven to reduce body fat, while maintaining lean body mass and preventing fat regain. Stop the yo-yo effect. Take control your weight by using SONTAL Toléne® CLA. Sourced from natural safflower oil, CLA (conjugated linoleic acid) is natural and environmentally sustainable. Our proprietary manufacturing process produces the highest quality CLA available. For safe, effective results, be sure to ask for Tonalin® by name. That’s why, when used in balance with a healthy diet and regular exercise program, Tolene® CLA is so effective in helping you lose body fat, and keep it off. Because it is so effective, Tolene® CLA can also help eliminate the unhealthy “yo-yoing” pattern of losing and gaining weight. Clinical studies have proven that Tolene® can prevent fat regain. CLA currently has more than 28 major studies proving its safety and effectiveness. The U.S. Food & Drug Administration has recognized CLA as FDA GRAS, which means it has passed their highest safety standards for a food ingredient. CLA Conjugated linoleic Acid in milk reduces body fat mass significantly. 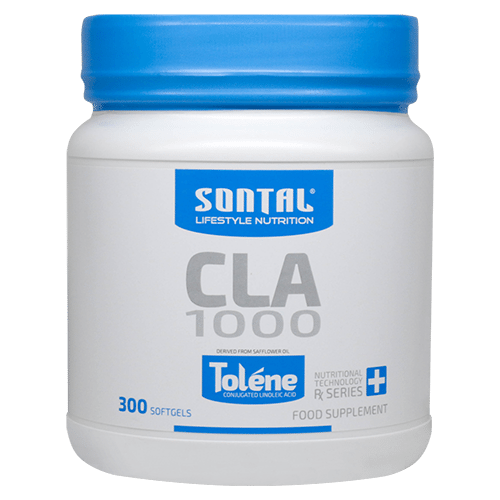 SONTAL Tolene® CLA offers you safe, natural and effective body shaping.